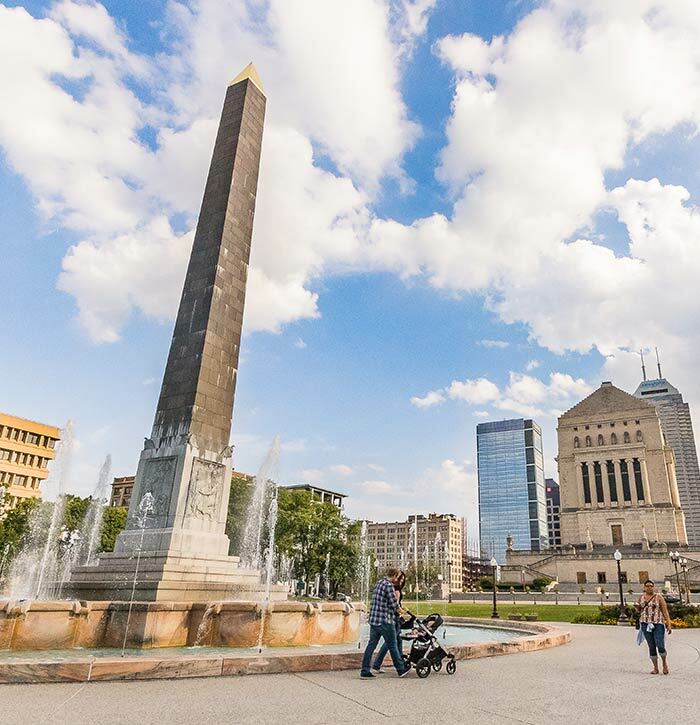 Veterans Memorial Plaza is centrally located in the seven-block Indiana War Memorial Plaza Historic District, just north of the Indiana War Memorial. 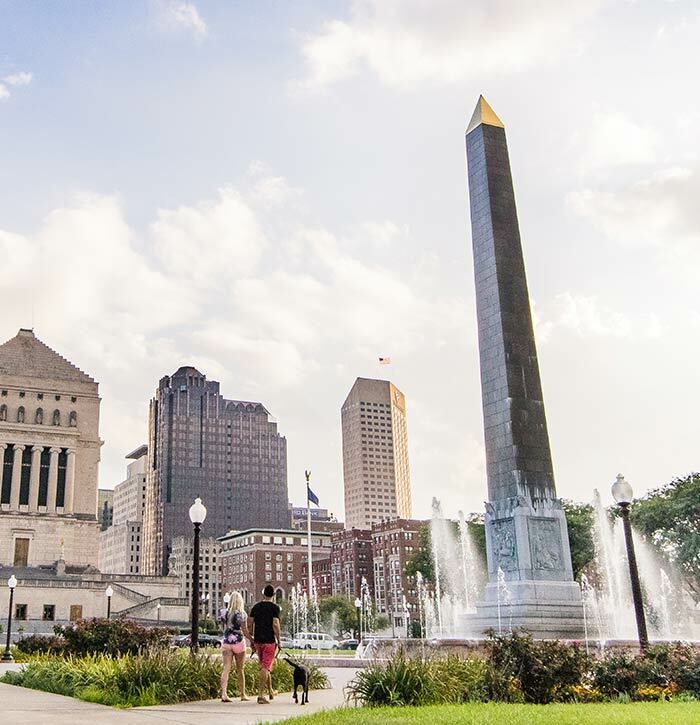 Completed in 1930, it honors all Hoosier veterans and is today one of downtown’s most popular venues for outdoor events, including the annual Independence Day festival. 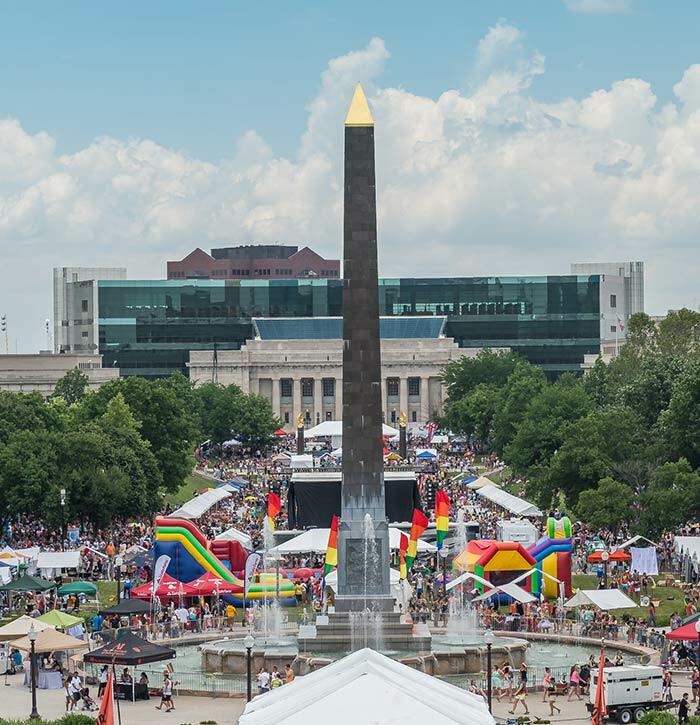 UPON ENTERING THE PLAZA, VISITORS ARE DRAWN TO THE 100-FOOT TALL OBELISK STATUE IN THE CENTER. This magnificent, four-sided shaft of Berwick black granite represents the hopes and aspirations of our nation. Near the base of the Obelisk are four bronze tablets representing law, science, religion and education. A 100-foot diameter fountain surrounds the Obelisk. The Plaza also serves as a dedicated space for our national flag and the 50 state flags. The Plaza was first known as Obelisk Square. Originally, the park was almost completely paved until landscaping was installed and trees were planted in 1976 as part of a beautification effort for the Bicentennial celebration of the Declaration of Independence. 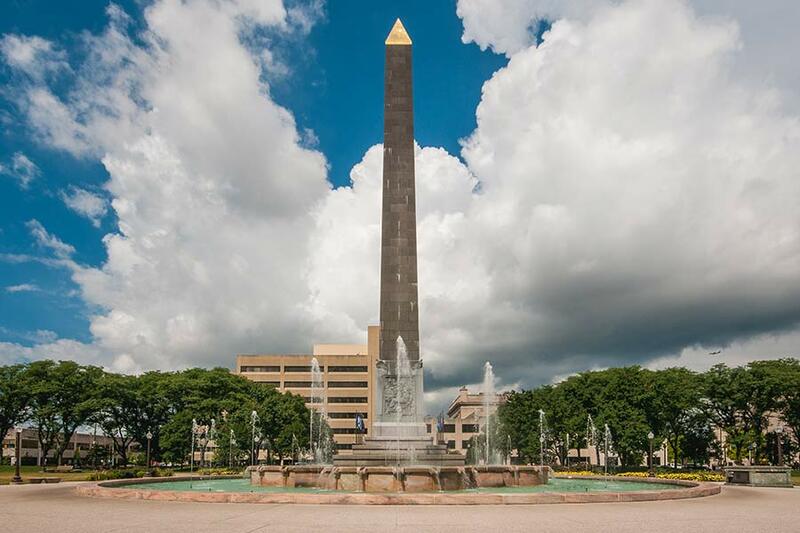 The Obelisk is 100 feet tall and made of black Berwick granite. The fountain is made from pink Georgia marble and terrazzo.